The 2008 International Conference on Climate Change, a gathering in Times Square of skeptics on global warming. Leaked documents suggest that an organization known for attacking climate science is planning a new push to undermine the teaching ofglobal warming in public schools, the latest indication that climate change is becoming a part of the nation’s culture wars. The documents, from a nonprofit organization in Chicago called theHeartland Institute, outline plans to promote a curriculum that would cast doubt on the scientific finding that fossil fuel emissions endanger the long-term welfare of the planet. 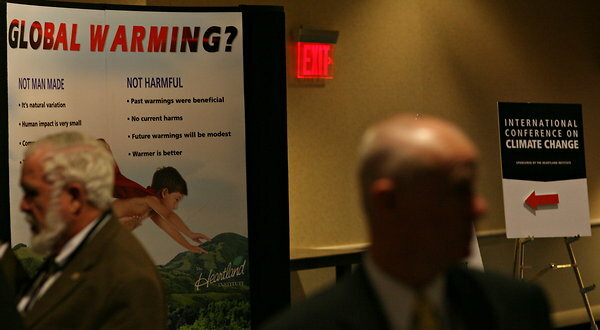 “Principals and teachers are heavily biased toward the alarmist perspective,” one document said.